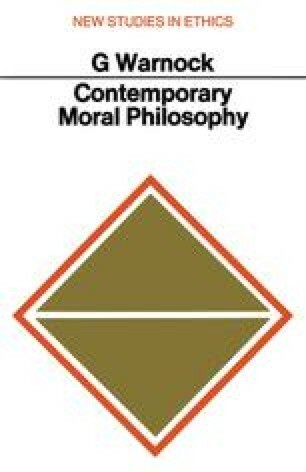 The next turn taken by moral philosophy in this century can best be introduced as — and was, I think it is true to say, in fact introduced as — an amendment to emotivism. The amendment in question, which is principally the work of R. M. Hare, has been extremely influential, and in certain respects is genuinely illuminating. I believe it to be by no means free from confusion; but its virtues and deficiencies, we may hope, will prove alike instructive.